Can you believe it? There is finally a DIY on this blog! It's a miracle! Today I'm going to be sharing with you a recipe: Sherbet Lemon Ice Lollies. Dan is obsessed with Sherbet Lemon sweets so I wanted to make ice lollies which tasted just like them and I think they turned out pretty well. Again I'm sorry about the quality of the photos my new camera charger still hasn't turned up. First pour half a teaspoon of lemon juice into each of your moulds. 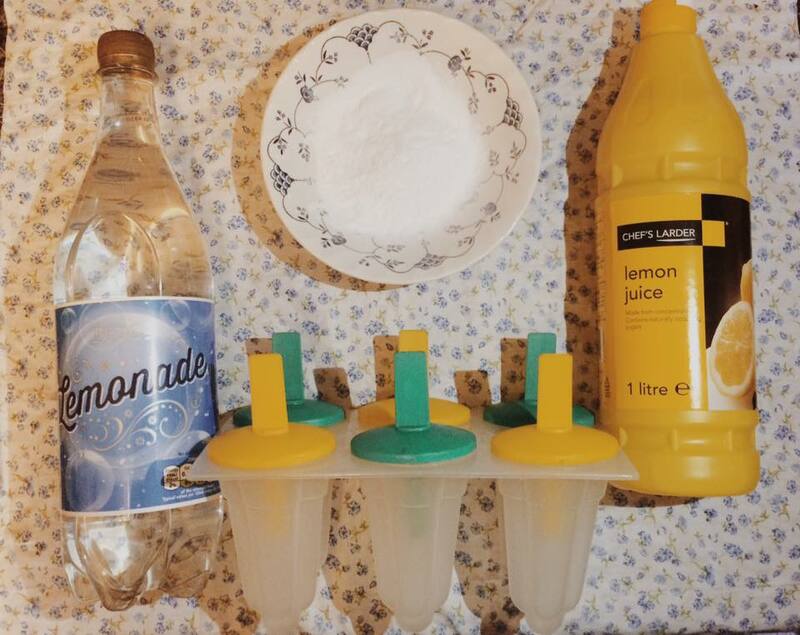 Add half a teaspoon of sherbet into your moulds and mix into the lemon juice (the sherbet will start to fizz but that's perfectly fine). Fill your mould with lemonade so that it's a quarter full. Fill your mould with lemonade so that it's half full. Add another half teaspoon with sherbet and mix. Fill your mould the rest of the way with lemonade. Put your moulds in the freezer and leave for 12 hours. 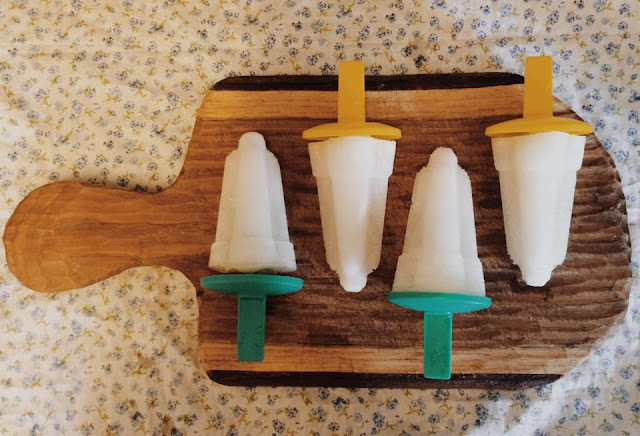 Run your moulds under warm water so that the lollies come out easier. I really enjoyed making these lollies and Dan seems to love them to quote him "they taste just like the sweets". I hope you enjoyed this first ever DIY on my blog I hope to do lots more in the future. Do you like the sound of this recipe? What recipes have you tried recently? Aw thank you so much Kim if you try them out let me know! I'm excited for more DIYs on your blog! Hope you are having an amazing week my wonderful friend! Thank you, let me know if you do try them out! Thanks for dropping in lovely! I didn't even think about Harry Potter but I love it! Thanks for dropping in! These sound delicious! 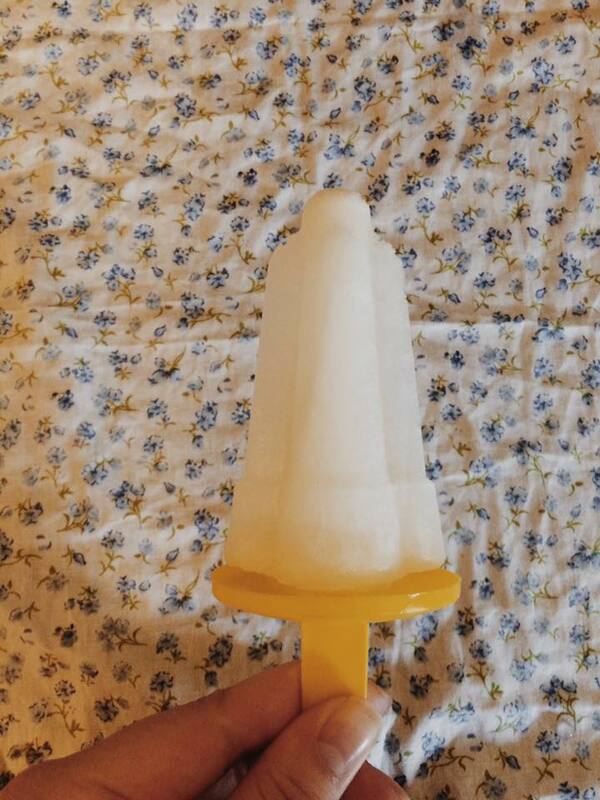 I have some lime juice in the fridge so I might try to make some lemon lime sherbet pops! Ooh that sounds nice! Let me know how they turn out! Thanks for popping in! Yummy! These sound very tasty.